I’m a BIG believer in getting to know the stitches on the sewing machine. My PFAFF Creative Sensation Pro has over 690 stitches, 8 fonts plus the super groovy Stitch Creator Function which allows me to alter any of those stitches or even create my own from scratch. Now that’s mind boggling, really. The possibilities seem endless. People often say to me, I don’t need all those stitches I would never use them. All I can think is why not? 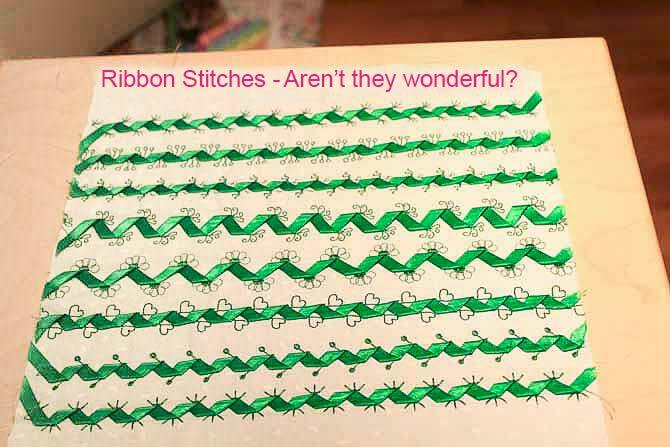 Why would you not use all those stitches, stretch your creativity? Create your own fabric! If you’re feeling a bit stale in your quilting, or want to kick start your creativity this fall season, or even can’t face the challenge of finding just the right fabric to go with those other 23 fabrics you’ve already gathered for your project… then have I got the challenge for you! I’m suggesting you make your own fabric for your next quilt. Yep, you heard me, make your own fabric–well sort of at least. I’m not suggesting you go out and pick some cotton, process it, weave it etc. 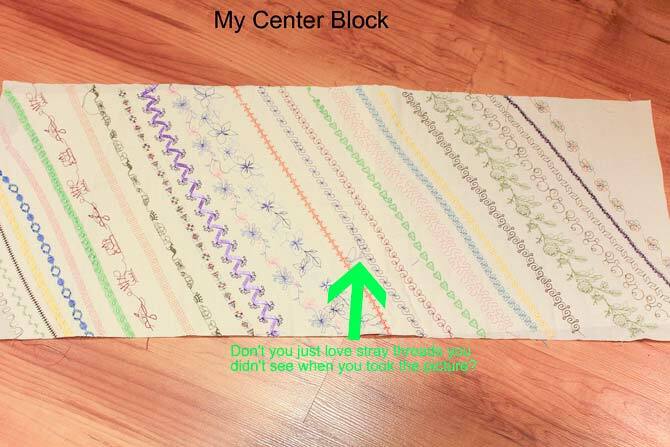 I’m suggesting, starting with plain fabric and use the stitches from the PFAFF Creative Sensation Pro to create all of your blocks. Crazy right? I can hear your objections right now, one fabric for a whole quilt and just change it up with stitches? Many of us has made a sampler quilt, or a quilt that contains many different styles of blocks. In fact lots of beginners classes offer this type of quilt as their project, it allows the maker to learn different styles of block construction. I would like to add a twist on that quilt. Instead of making 9, 12, 16 or 20 different blocks with coordinating fabric I’m suggesting you make the same number of blocks as a sampler stitch quilt, meaning each block will be made up from stitches from the sewing machine. You have a couple of design decisions to make before you get started. Are you going to go for a two color type of approach? A plain fabric background and use the same thread throughout the quilt, or (and this is my favorite) a plain color background with lots of thread and color. It’s a great way to use some of that thread you have sitting around or a chance to build your thread stash. Lots of us build our fabric collection without a second thought. Do yourself a favor and build your thread collection with the same thought and intention. 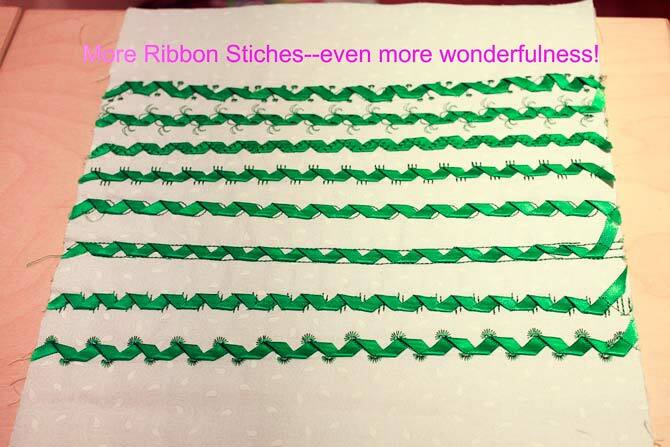 Be sure to use a stabilizer behind the decorative stitches, you’ll be so much happier with the results. Stitch through the top layer of fabric AND the batting to give that ‘quilt’ look to each block, once pieced, add the backing by stitching in the ditch with the ‘stitch in the ditch foot’. Stitch through all three layers (top, batting and backing) and then piece it in a quilt as you go fashion. Here are a few examples, but the important part of this exercise is to use the stitches, there is no right or wrong. You’ve already made your first ‘right’ decision you have a PFAFF Creative Sensation Pro, it doesn’t get any better than that. Also, if you don’t want to start on such a large project like a quilt, start smaller, make a piece of ‘stitched’ fabric big enough for a quilted bag or binder cover, but be careful you’ll be hooked and end up making that stitch sampler quilt in the long run. A Large Center Block consisting of several available stitches–just about 600 more to go! The week started with making an easy fall themed quilted table cloth using seasonal prints and a pre-cut layer cake. My PFAFF IDT makes piecing accurate, easy and quick. Adding a Single Hole Needle plate virtually guarantees none of those little corners getting stuck down in the needle plate. I also used the embroidery portion of my PFAFF Creative Sensation Pro to make a quilt label for a friend who made a quilt as a wedding gift for her sister. I used the built-in applique features of the machine to stitch out a quick and easy applique block for a fall colored wall hanging and today, I’m well on my way to completing a Stitch Sampler Quilt using plain background fabrics, thread and some of my 690 stitches available to me. This fall get to know your PFAFF Creative Sensation Pro Stitches, the ribbon stitches and stacking stitches, the maxi-stitches, the tapering stitches and the list goes on and on. Don’t forget you can create your own stitches too from scratch or just take one of the existing stitches and alter it. IF that’s not enough for you don’t forget about sequencing those stitches which is just a fancy word for saying you can string individual stitches along in whatever order or pattern you choose. There are just so many possibilities, don’t be one of those people who thinks they would never use all those stitches, be one of those people who purposely sets out to use those stitches, trust me you will fall in love with this sampler quilt and all those stitches. I hope you’ve loved the tips on making quilting fabric with built-in stitches and that you’ll get very creative with it! All in all it was a great week. Looking forward to doing my first pieces of my first “by myself ” quilt withiut my Mother’s guidance.